Midwest ComTel Attends Earth day – a hit for computer nerds and curious observers! Home / News / Midwest ComTel Attends Earth day – a hit for computer nerds and curious observers! Earth day, a free, family-friendly afternoon with environmentally focused educational activities, nature walks, games, crafts, mock fossil digs, entertainment and much more is how Kent State describes their day they pay homage to the Earth. This year it was on Sunday, April 22nd, 2018 and Midwest ComTel was honored to be present. Kristen Dixon, President of the company, explained that Earth Day is a chance for us to engage the community about electronic recycling; in a world where technology is so relevant in our every day lives, it is important to understand what happens to the technology of yesterday. She went onto explain that Midwest ComTel is driven to keep electronics out of the landfill and to make sure they are either reintroduced back into the economy or they are recycled properly. 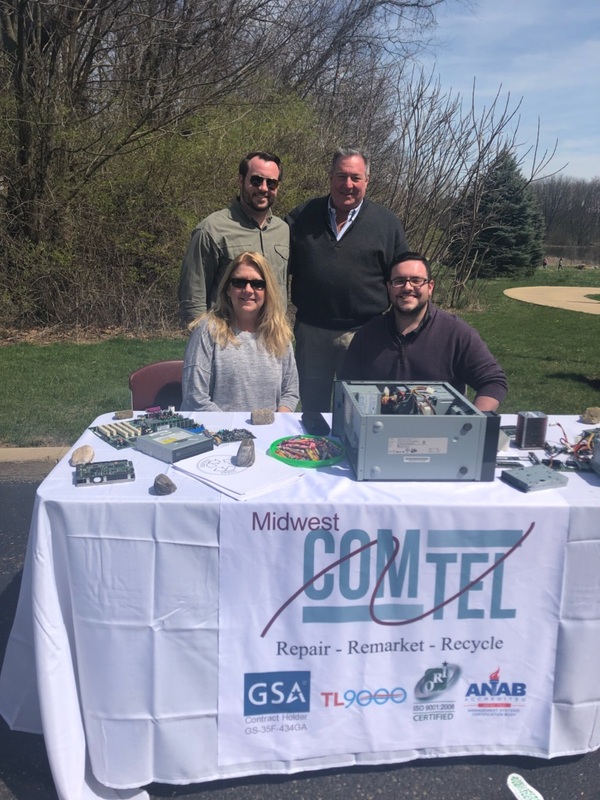 Unfortunately, at this point, only a small fraction of electronics is recycled, but Midwest ComTel will not let that discourage them as they discover new and innovative ways to make sure product is kept out of the landfill! Midwest ComTel is in the business of keeping you connected and keeping you focused on your core business. While we do this, we are dedicated to integrity, transparency and sustainability. When your business model generates surplus, let us manage it; you can rely on us to generate an additional revenue stream, to assure your data is destroyed, and to guarantee your product will arrive on time. When you partner with us you will learn that we make ourselves available and adaptable.